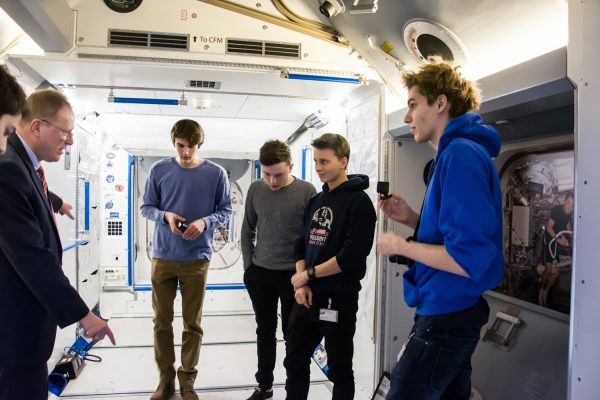 On February 16-17, 2017, the students Michael Berghold, Leon Sereinig and Matthias Kaplan visited ESA’s European Astronaut Centre in Cologne, organized by the Austrian Space Forum and made possible by the Austrian Ministry for Transport, Innovation and Technology (bmvit) as well as the Austrian Research Promotion Agency (FFG). Here, they give an account of the impressions from their trip. Due to our participation in a video contest on space colonization, we were offered the opportunity to experience the European Astronaut Centre in Cologne for two days in February 2017. 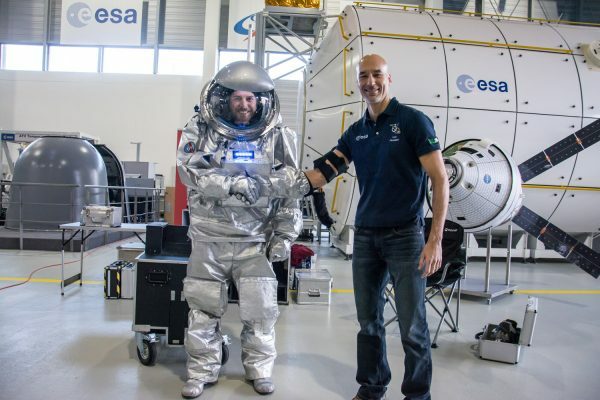 During our visit, we were given a tour through the :envihab, a medical research facility of the German Aerospace Center (DLR) where the effects of different environments on the human body as well as potential countermeasures, particularly in regards to spaceflight, are being researched. The research includes complex questions relating to life support systems and the interaction between humans and their environment from a medical, biological and psychological point of view. The focus of the research is on how to sustain the health and performance of humans. Particularly fascinating was the short-arm centrifuge, in which the test subjects were exposed to six times the regular gravitational acceleration. 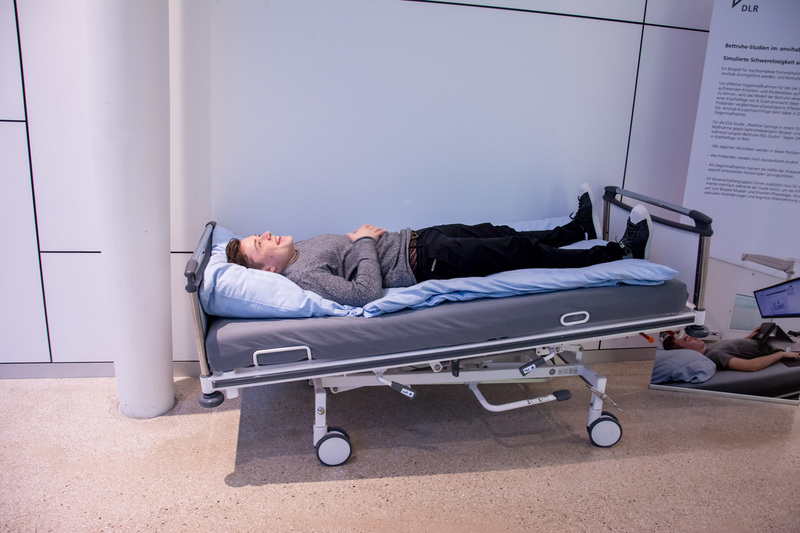 The system has been designed to test four persons at the same time and can be upgraded for different experiments, including such that use bike pedals or an ultra sound device to examine the subjects during the tests. We were also told about several studies that were conducted at :envihab to test the human psychology and physiology. Two of the research topics were sleep deprivation and long stays without moving. In addition to the :envihab, we also visited a laboratory with a vertical treadmill. On this device, subjects are being hung horizontally with ropes and springs and then a computer and two further cable controls push them against the treadmill vertically. This allows to simulate different levels of gravity, depending on how strong the ropes are being stretched. We could observe OeWF analog astronaut Stefan Dobrovolny simulate a spacewalk on both the moon and Mars. 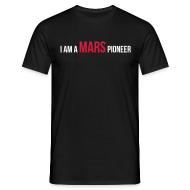 Since the astronauts on the International Space Station (ISS) use a similar system to stay in shape, this type of training will most likely be an essential part of a mission to Mars. 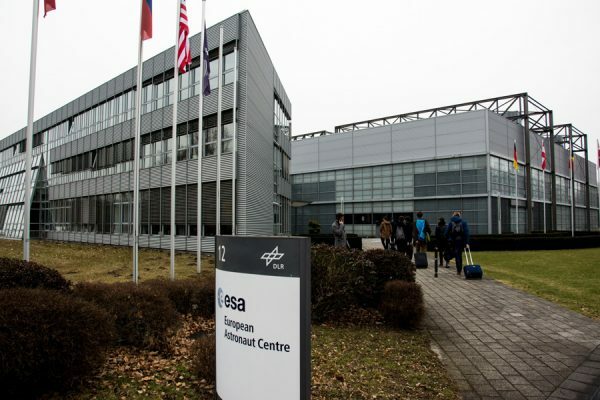 A large part of our visit to the ESA/DLR area in Cologne was the tour through the astronaut centre EAC. We visited the diving basin, life-sized ISS modules and the EUROCOM station. Since the diving basin can only convey the idea of weightlessness, the permanent exposure to new problems and seemingly desperate situations in this abstract environment is the most important aspect of the training. In the hall, there were life-sized mock-ups of the European Columbus laboratory, various American and Russian ISS segments and the European supply module ATV (automated transfer vehicle). All modules were walkable and equipped with mock-ups of the experiment racks. With the help of these mock-ups, astronauts can familiarize themselves with the ISS so that they will be able to perform from the first day on. Thanks to the detailed representation of the ISS’s features, we got a very good insight into life at the station. For me, this was definitely a highlight of our trip. The visit of the EUROCOM station brought us closest to the events at the ISS. In this section of the EAC, the communication with the ISS is conducted through the four “space to ground” channels. During our visit, we could listen to some messages to ESA astronaut Thomas Pesquet. On day two of our EAC tour, we were given a demonstration of the Aouda.X suit, at which OeWF analog astronaut Stefan Dobrovolny served as test person for the suit. We were provided with an exciting insight into the project and it was an unforgettable memory. I was allowed to take over mission control duty and communicate the experiment set-up to Stefan. Such an opportunity does not come by very often, and I was very happy about this experience. ESA astronaut Luca Parmitano then gave us an insight into his life and career. I was particularly excited (and dignified) by the many competencies he had to have, including language skills and physical condition. To me, astronauts are a kind of “heroes of the cosmos”. In addition, I was fascinated by his story about a malfunctioning EVA helmet, which forced him to return to the docking port of the ISS with limited vision and without computer navigation. Truly an extraordinary person. The final point of our schedule was a conversation with space engineers Andrea Boyd and Romain Charles about their career. They told us about the professional and educational requirements which their job demanded. Since I want to become a theoretical physicist, I am not thinking about such an education, but it was nonetheless interesting to hear how they got to the EAC. In my opinion, one must have an interest in the particular field from a young age on, and if one has the willpower to do it, one can succeed.